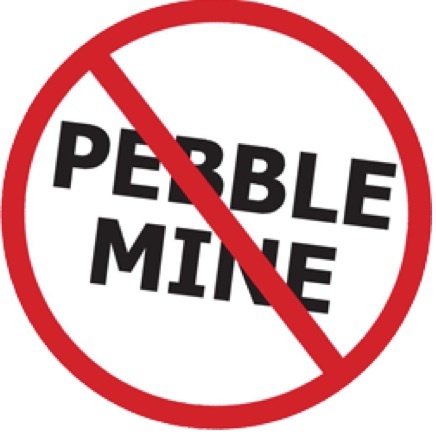 Two days ago, I got to meet with some folks to discuss the current state of the Pebble Mine issue and different approaches to galvanizing support. At the meeting were Taryn Kiekow, an attorney from the Natural Resources Defense Council, Elizabeth Dubovsky and Dwayne Meadows from Trout Unlimited’s Save Bristol Bay program, Marie Logan from Food and Water Watch, Kendra Stanley, activist and founder of City Bag Trade, and myself. What struck me most about this meeting was the different directions with which we can approach an issue and attempt to galvanize support – whether it be through membership or reaching out to the public. In February, the NRDC took out a full page ad in the New York Times to increase awareness about the mine. Here’s a PDF of the advertisement. During the month of September, Trout Unlimited will be hosting screenings of the film Red Gold along the west coast of the US. I’ll try to post these dates and times as they come up. This movie paints a poignant and frightening picture of what the loss of salmon would mean to both the people and the ecosystem that make up the Bristol Bay watershed. Marie’s work with Food and Water Watch has lead her to be involved with Salmon Aid a coalition dedicated to protecting salmon habitat and the communities built around them. October is Salmon Month! There will be great events organized around the Bay Area. Here’s what they had last year. For me the biggest take home was that the coming months will be critical in pulling support together to fight the mine. Section 404(c) of the Clean Water Act is a critical piece of the puzzle and we have to tell our legislators that we are engaged in the issue and that they should back the EPA’s findings. Do that here. As much as possible, I’ll update on coming events.